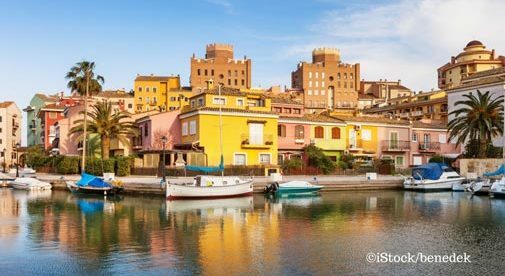 Elaine and her husband Bill get tremendous joy from living in Spain. One of their favorite things to do is to pack a picnic and enjoy the fine weather on one of the pristine, white-sand beaches. The couple live south of the city of Valencia, in a private, elevated area on the mountainside, overlooking the deep-blue Mediterranean. It’s peaceful, tranquil, and the ideal place to relax and enjoy the beautiful scenery. Out here, you won’t find any smog or light pollution, which makes for a sublime night sky. The couple love sitting in their hot tub at night, listening to crickets chirping and watching the stars unfold. For a night out, Elaine and Bill like to eat at the local restaurants. One of their favorites is El Eden, an authentic Spanish restaurant set amongst the orange groves, where a delicious three-course meal with Valencian paella or figatells (little meatballs) will cost around $22. 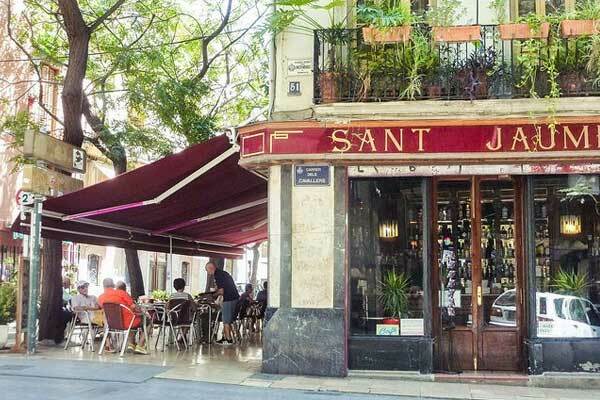 Valencia is filled with restaurants and cafés, like this one in the El Carmen neighborhood. Elaine often worked a 70-hour week back home. Now, the couple have been able to leverage their Spanish villa as their source of income. They rent out their villa for $980 a week from May through September. Since the cost of living is so low, they’re able to live a comfortable lifestyle for a whole year on this income. A cozy mobile home on their plot next door is their home during the summer. “I have a far better life here,” says Elaine. “And I wouldn’t change it for the world. We have a wide circle of friends, who are like extended family. Everyone is so friendly and helpful.